Can I confess something? I feel like I can. Here goes: I’m addicted to plaid scarves. I love plaid anything, I’m obsessed with scarves, and when they come together, I just go crazy. I have spent an embarrassing amount of money adding to my plaid scarf collection, which includes blanket scarves, infinity scares, and cozy knit versions in every shade imaginable. Do I have the time to wear all of them? I don’t know. Do I need three different versions of the same plaid scarf because one is more mahogany red than classic red, and one has fringe while the other doesn’t? No, I really don’t. But this logic doesn’t help. 1. Just because plaid is a bold pattern doesn’t mean it has to be worn with solids! Plaid scarves look surprisingly awesome with striped shirts. 2. Keep it simple and wear your plaid scarf with a chambray shirt. 3. Leather jackets are great for fall, but on chilly days they might not help that much. 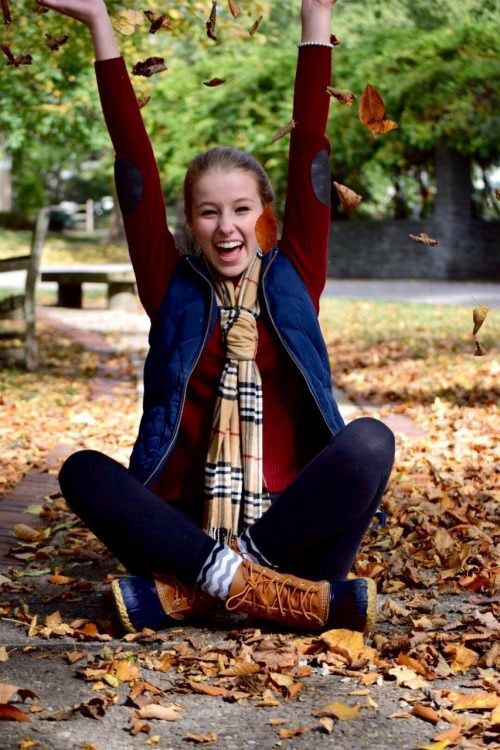 A scarf keeps you warm – plus, there’s something about plaid and leather that just looks so good together. 4. Blazers are annoying to wear under coats. 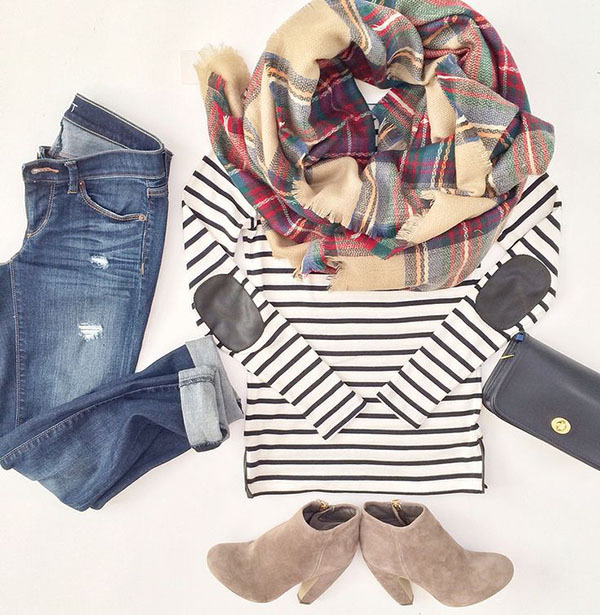 Instead of an extra layer, add a big, cozy plaid scarf. 5. 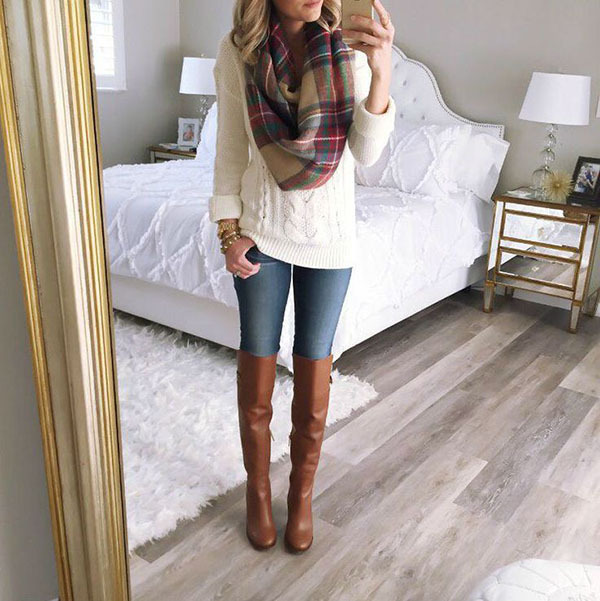 You can’t go wrong when wearing a plaid scarf with your favorite white sweater and boots. 6. Use a plaid scarf to make a summery dress look ready for fall. 7. Don’t shy away from other patterns – plaid goes well with almost anything, even a pattern in a different color, like this one. 8. Switch things up by tying a loose, low knot at the bottom of your scarf ends. Also – plaid and leopard print are a dream combo. 9. You can also style your plaid blanket scarf as more of a poncho. Drape it over your shoulders and arms, then keep in place with a skinny belt. 10. That belted poncho style can be worn on it’s own as your “coat,” or belted underneath a coat for extra layers. 11. 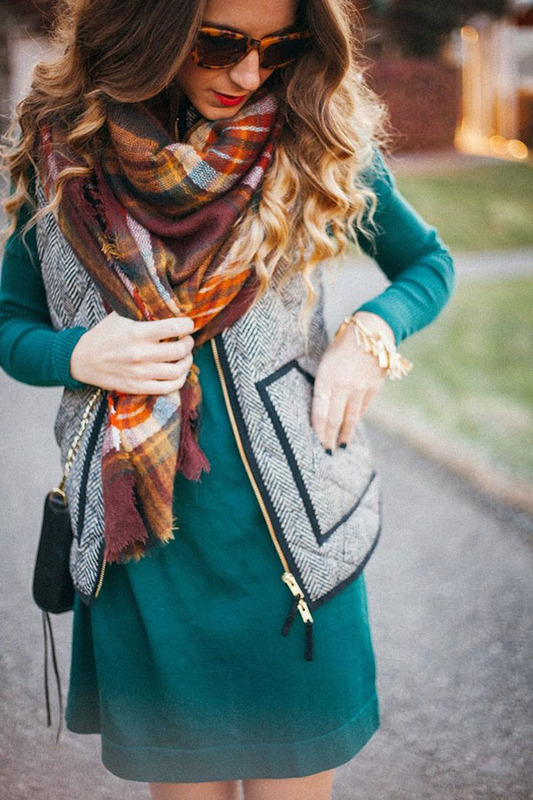 A plaid scarf makes even a simple outfit like this one look instantly more interesting. 12. Do something different and leave your scarf open to hang down over your layers. 13. You can also casually drape a big plaid scarf over your shoulders like so, so that’s it almost like a blanket or shrug. 14. Use a pretty plaid scarf to give some color to an all-black ensemble. 15. Mix your plaids! 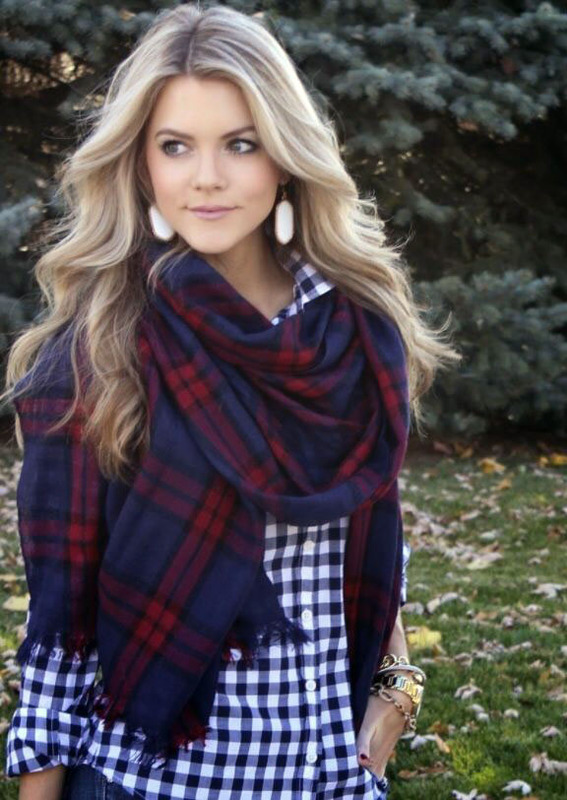 A plaid scarf looks so cute with a plaid shirt. 16. 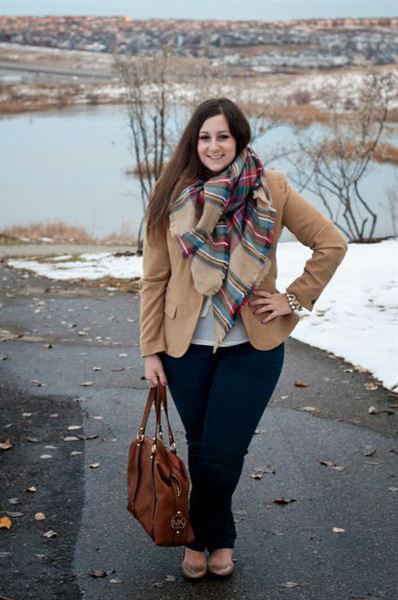 A sturdy knot slightly lower than your neck gives your plaid scarf a seriously preppy look. 17. Match the colors of your scarf to other colors in your outfit. 18. Or try matching one of the colors in the scarf to your shoes. 19. 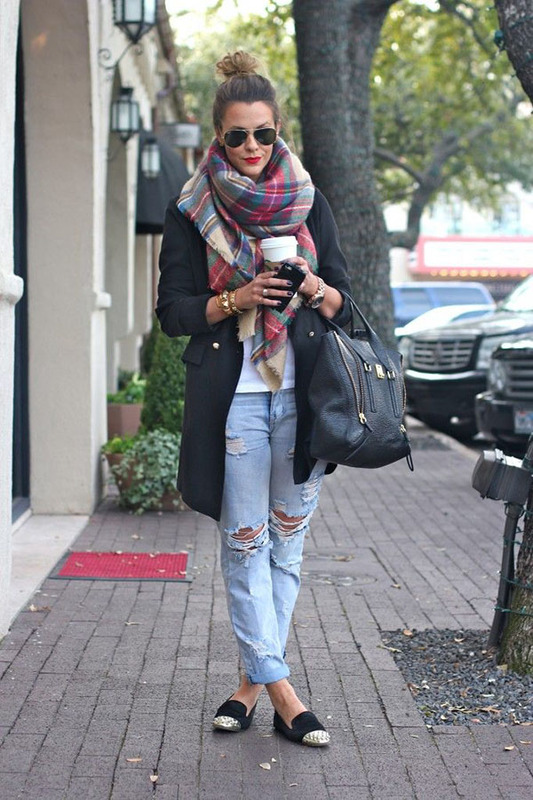 Go for a laid back, street style chic look by wearing your plaid scarf with destroyed boyfriend jeans. 20. 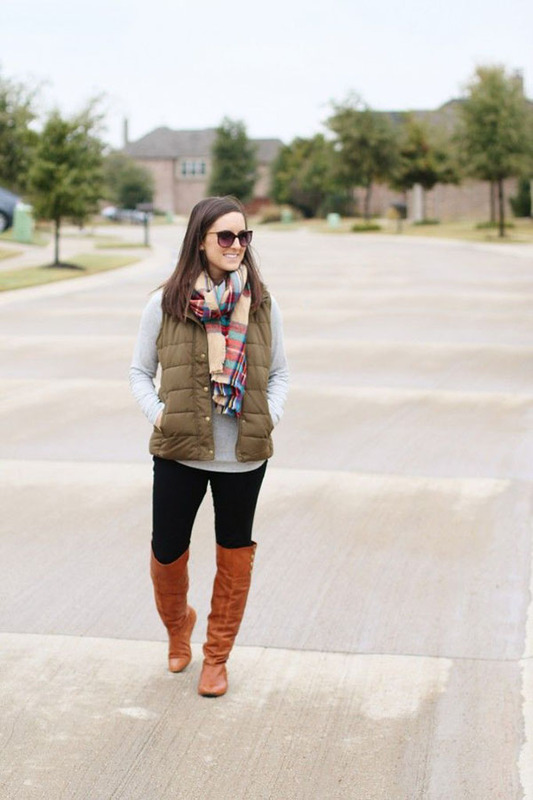 Add a puffy vest and a plaid scarf to any outfit, and you’re good to go!